An Eagle Rock couple is speaking out after their neighbors allegedly shot their dogs to death last week. Dani and Sam Johnson, of Eagle Rock, say their dogs were tortured before they died and that this isn’t the first time dogs have gone missing in their neighborhood near the lake. 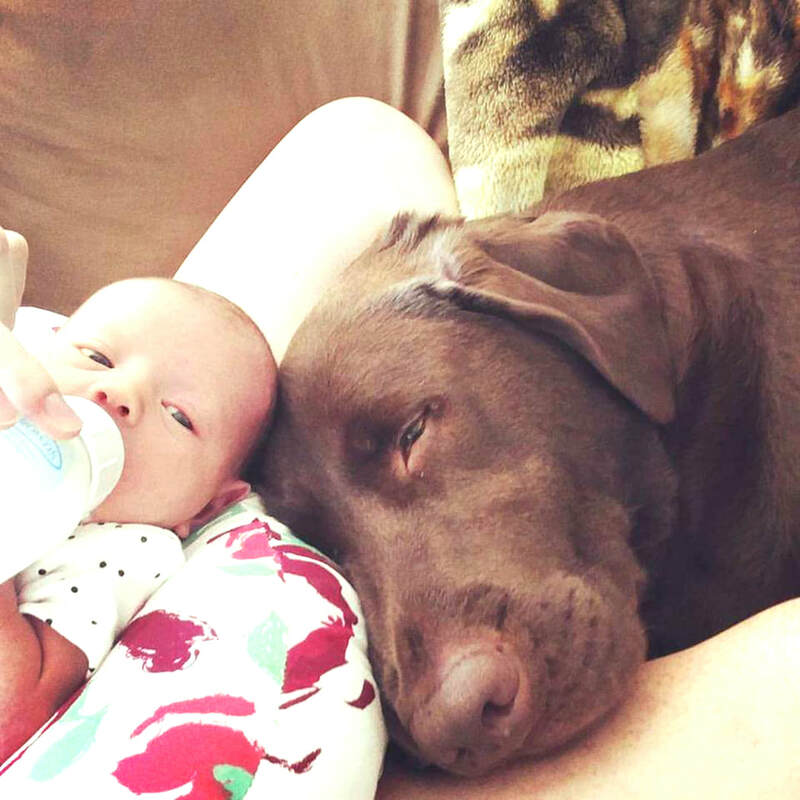 Johnson said the couple let their dogs out, two chocolate labs, Gus, 6 years, Tug, 11 months, and their yellow lab, Kaycee, 3 years, to go to the bathroom on Tuesday, March 13. 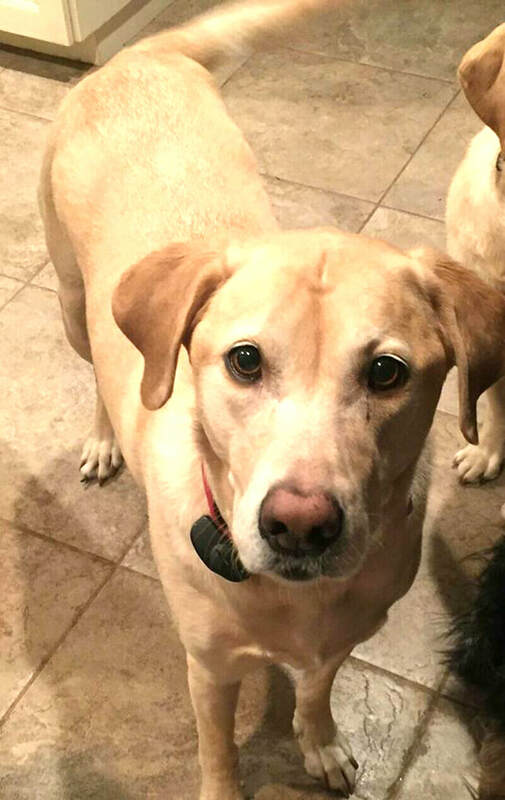 When the three labradors didn’t come back, Johnson said they were immediately concerned. The Johnsons have lived on 14 acres in Eagle Rock for around eight years. Johnson posted a Facebook status at 10:51 p.m. saying they were still missing and begging people to keep an eye out for her pets. The next morning, she called a veterinarian near them to alert them to the missing dogs. Johnson said she left her phone number with the vet’s office and within five minutes her call was returned. “I get a call from a man who never identified himself and he said in a really rude voice, ‘I hear you called the animal hospital.’ I told him I did, and I got excited because I thought he had found my dogs. I was thrilled. But then he said, ‘I just wanted to let you know they were shot. They’re dead. They won’t be coming home tonight,’ Of course, I started crying,” Johnson said. At that point, she said her husband took the phone and the caller repeated the same information. The couple went to the nearby animal hospital and were told to look for their dogs at the nearby Paradise Cove Camping Resort. It was when Johnson’s husband went door-to-door that the puzzle pieces began to come together. She says witnesses came forward saying they knew what happened to their three labs and that one of the owners of the camping grounds shot the dogs to death. 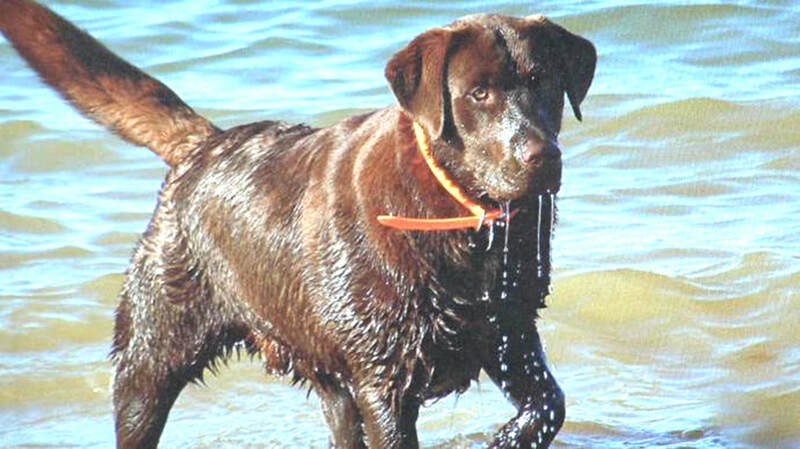 Johnson shared, “The witnesses said the pups were playing in the water by the shoreline. And the witness said he saw [the owner of Paradise Cove] get in her golf cart, go down there and start brutally shooting at them. She took some perverse joy in mutilating my oldest dog’s genitalia without killing them. They said they saw him, my Gussie, the oldest, him laying there in agony. Then she gut-shot the other two. The disturbing tale appeared to be corroborated when one of the witnesses led Johnson’s husband, Sam, and his brother to the dogs’ bodies. “They apparently used machines to drag them when they were still alive, and my husband and brother in law saw them and it was intended to cause as much pain and suffering as possible. My husband and brother in law were able to get them on the truck and bring them home to bury them in our back yard,” she said. With Johnson’s story gaining so much traction and catching the public eye, Paradise Cove has been flooded with negative Facebook, Google and Yelp reviews. One photo on Facebook showed’s the camping ground’s sign vandalized with “dog killer” painted on it. Other members of the Eagle Rock community have also come forward with concerns and accusations against Paradise Cove. One of those people, Colin Evans, has property next to the campground and said his dog, Chewy, a German Shepard/Pit Bull mix, had been missing for 12 days until he found Chewy’s body last night. He said, “I got a tip from another neighbor down the street from us that my dog had been found on another property. I found him there last night.” Evans said Chewy was found about half a mile from the campground. Similar to the Johnsons’ tale, Chewy was very friendly and regularly visited neighbors beyond Evans’ 80 acres. He said the vandalized sign led him to seek out the owners of Paradise Cove and ask them. “When I saw them at the highway fixing their sign, I pulled over to ask them if they had seen my dog. They admitted to knowing my dog and said they didn’t shoot my dog. I asked if they knew anything about the other dogs had been missing in the neighborhood. They denied it all,” Evans said. At the time, Evans said this was the day before he found Chewy’s body. At the time, he didn’t know that he had been shot. Evans said no one has come forward with information about witnessing the end of Chewy’s life. Facebook posts from around Eagle Rock said the dog disappearances and shootings have been going on for 12 years, but calls to those parties were not immediately returned for an interview. A phone call placed to Paradise Cove for comment was not returned. The line rang, an answering machine picked up with only the song “Bad Boys” by Inner Circle (the COPS theme song) before a beep. A message left requesting an interview was not returned as of time of press.